Do you ever get hungry before bed? If so, you're not alone. The late-night tummy rumbles are all too real. To help us satisfy our midnight cravings without messing up our rem cycles, we reached out to Alissa Rumsey, MS, RD, spokesperson for the Academy of Nutrition and Dietetics for some healthy nighttime snack suggestions. If you want to get your beauty rest, choosing the right snack in the late hours of the evening is of the utmost importance—Rumsey says that the food you eat before bed has a major impact on your sleep. If you happen to get hungry, she suggests a small snack, no matter the time, as "this will help you sleep more soundly and not wake up starving in the middle of the night." She further recommends eating "complex carbohydrates, or those higher in fiber, [as they] are a good choice because they release serotonin, which can help you sleep." However, Rumsey warns against caffeine (for obvious reasons) and fatty foods since "your body will have to work hard to digest [them], which can lead to difficulty sleeping." To make late-night snacking a little bit easier, keep reading for Rumsey's six evening-approved snack recipes. According to Rumsey, snacking on "five to 10 whole-grain crackers with two tablespoons of hummus" is a good choice in the later hours of the evening since "chickpeas are a good source of tryptophan which can help you sleep." Looking for something that will fill you up through the night? Another carb-protein mix that Rumsey recommends for a good night's rest is "two whole-grain crisp breads topped with 1/4 avocado and one hard-boiled egg." While it may take a bit longer to make, this carb-protein snack will not only keep you full, but, thanks to complex carbohydrates that "release serotonin," this snack will also promote better sleep, says Rumsey. When it comes to late-night snacking, Rumsey also suggests picking "whole-grain carbs like whole-wheat bread, oatmeal, or whole-grain cereal." 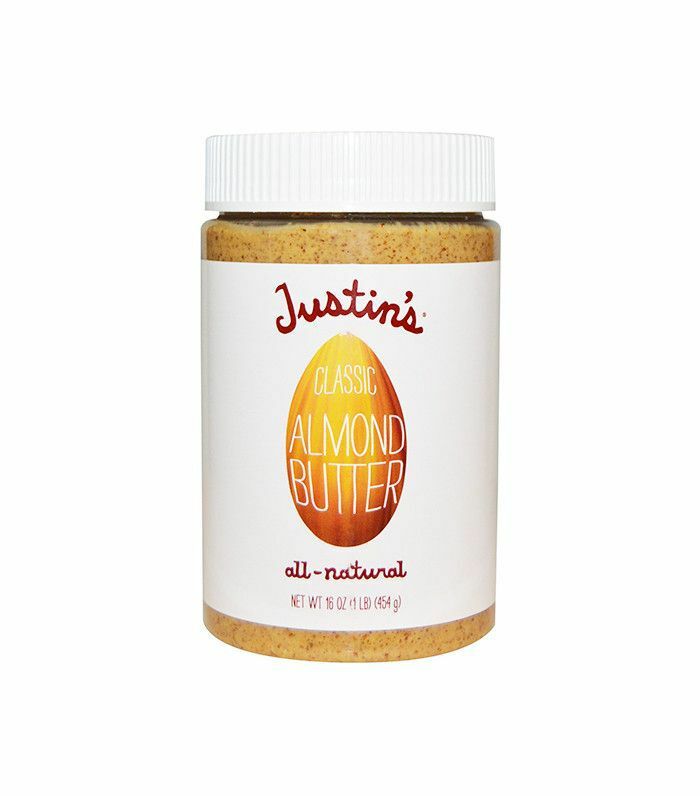 Her recipe of choice is "one slice of whole-wheat toast with one tablespoon of almond butter." The carbs paired with protein "will help keep you full until morning," Rumsey explains. For a quick and easy midnight snack, Rumsey recommends "3/4 cup of high-fiber, whole-grain cereal with 1/2 to 3/4 cup of milk." 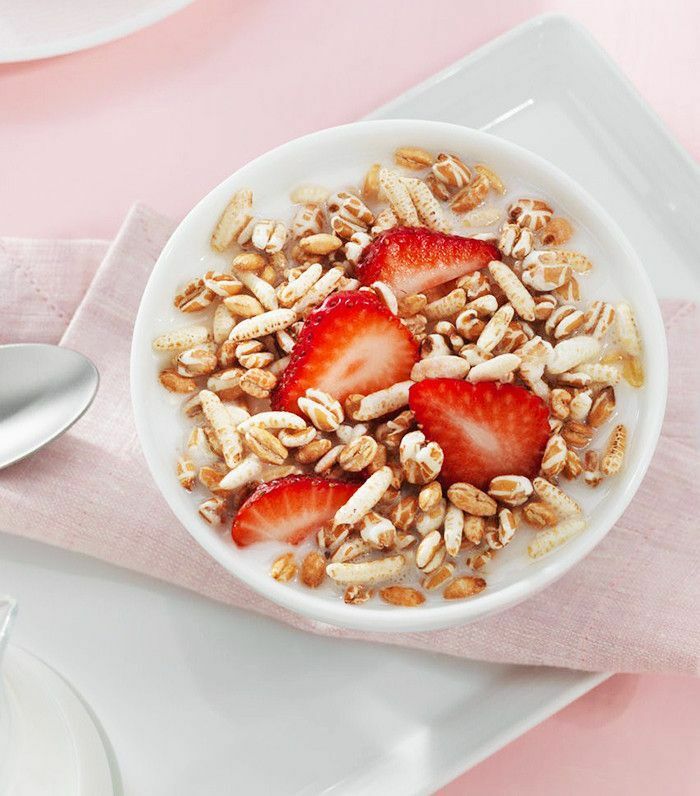 To get the most out of your mini meal, Rumsey suggests looking for a "cereal with at least four grams of fiber." Rumsey reminds us to look for a slow-digestion carb like an apple when selecting a snack before going to bed. 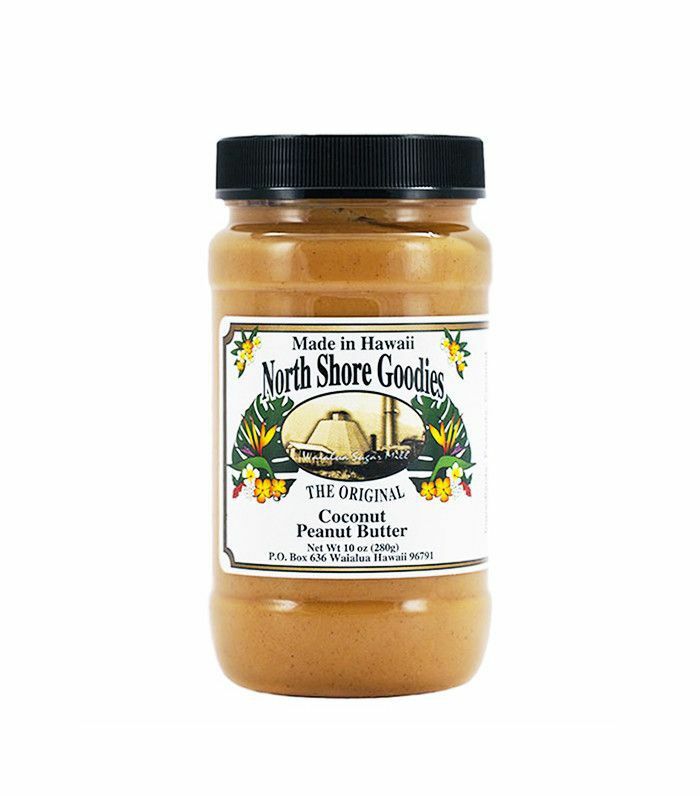 She recommends pairing it with "a tablespoon of peanut butter" for "some protein and healthy fat." If you have a bit of a sweet tooth, swap out your late-night ice cream habit for greek yogurt. Rumsey suggests "a lightly sweetened Greek yogurt" with "less than 15 grams of sugar" and "a handful of nuts" for a well-rounded snack that has "protein, fiber, and healthy fat." Want more diet tips for a better night's sleep? Check out these foods that will help you sleep better.